The Marathon electric water heater is a seamless polybutylene plastic tank. 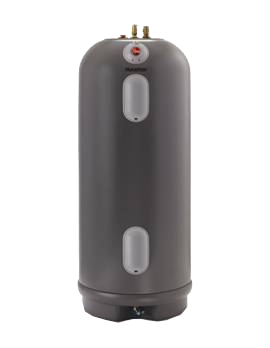 Marathon water heaters are insulated heavily with a unique, trademarked "Envirofoam" insulation, which makes them incredibly energy efficient. The exterior jacket of the Marathon is high-impact plastic, which resists dents, scratches, rust and corrosion. For additional product information visit the Marathon website. To purchase a Marathon electric water heater, request a warranty replacement, or for parts please call Arkansas Electric Cooperative at 800-451-8061.